News reaching us indicates that President Muhammadu Buhari has sworn-in Justice Tanko Muhammad as the acting Chief Justice of Nigeria (CBN). The followed the suspension of embattled Justice Walter Onnoghen from the position. Some days ago, there were reports that the presidency asked Justice Onnoghen to step down from office following issues with his asset declaration form. Last week, Mr Onnoghen was arraigned before the Code of Conduct Tribunal (CCT). This week, an appeal court directed the CCT to stop the trial of the CJN. 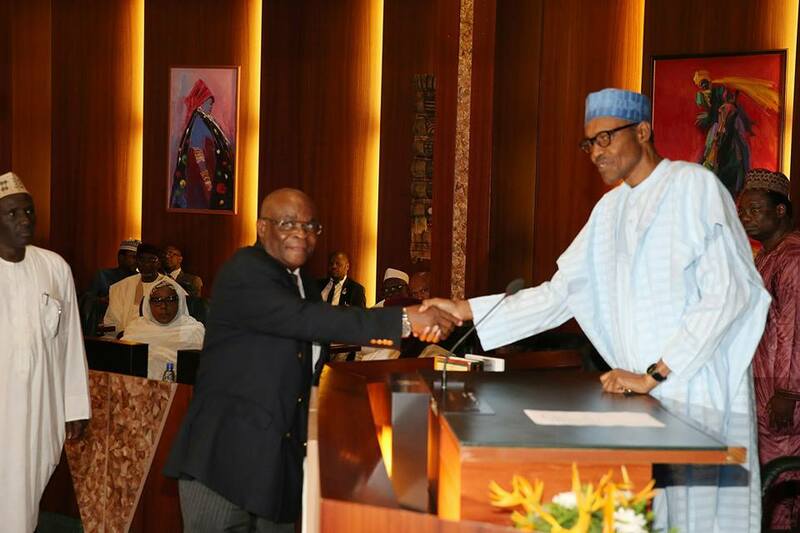 Business Post gathered that the President removed Justice Onnoghen from the position pending the conclusion of his trial at the Tribunal.